This beautiful ground floor apartment is located a stones throw away from the Firth of Forth. There are unspoilt views from the property between the world famous Forth Road and Rail bridges to neighbouring Fife. Inside, the apartment is immaculately finished with modern comfortable furnishings in generously proportioned rooms, all set in a peaceful and private development. Landscaped gardens surround the property where guests can relax and absorb the ever changing scenery and activities on the waterfront. Little more than 5 miles from Edinburgh, Shore Road provides the perfect base for discovering Scotland's history, scenery and hospitality. Infant equipment (cots and high chair) available upon request. Guide dogs welcome. The perfect little crash pad for easy access into Edinburgh. Stunning views, situated between the Forth Bridges and around 20 steps from the front door to the water. I will certainly book this again. Fantastic location, neat, clean, comfortable, and spacious! We thoroughly enjoyed our stay at Dr. Bain's property in South Queensferry. Little did we know we were right on the water. Everything about the home was to our liking. The quaint town along the water's edge by the three bridges offers excellent restaurants. We will certainly be back on our next trip to Scotland. Beautiful comfortable well appointed. Beautiful view. Thank you. Everything was great. Will stay here again if in the area. Loved it. Once again a grand place to stay a great spring board for fife and perthshire.apartment very comfortable, clean. And as said above, right time right place.look forward to the next trip!!! 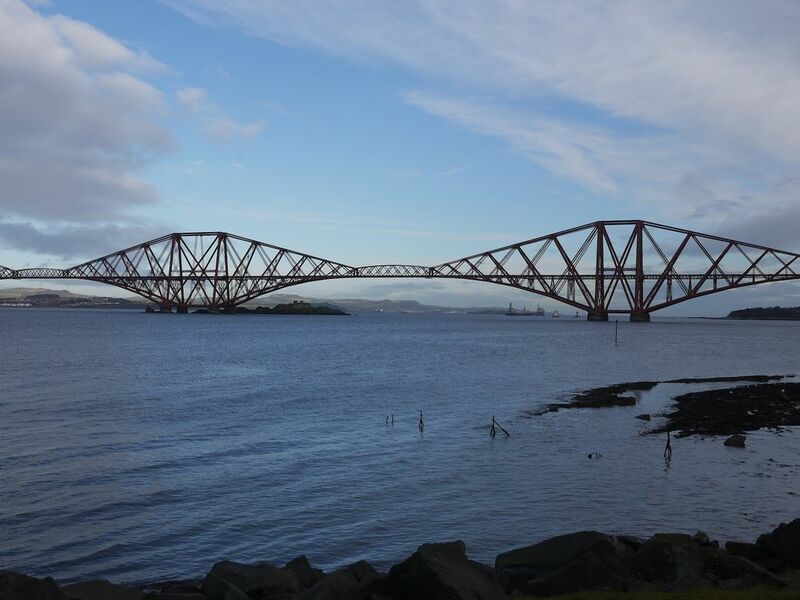 South Queensferry is a great place to stay and for visiting Edinburgh, easy access by train and car. The place is spacious with good views over the river and of the Forth bridge, and was very peaceful and quiet. The place could have been cleaner on arrival and would benefit from a bit of TLC on some of the fixtures and fittings that had also been commented on by previous guests, which left us a little disappointed. Only a 10 minute journey south to Edinburgh, South Queensferry is an ideal location to explore Scotland's stunning and historic capital. Twenty miles north lies St Andrews, the 'home of golf'. The same excellent road and rail links brings the Scottish Highlands, lochs and magnificent mountains within the easy reach of guests. South Queensferry itself is full of attractions with the cobbled streets and historic buildings such as St Mary's Church and the Black Castle. Inchcolm Abbey on Inchcolm island is accessible by boat from the base of the rail bridge where there is an abundance of wildlife including seals, cormorants and grey herons. Guests can build an appetite by walking the short distance across the beach and harbour from Shore Road and discover the many restaurants and cafes on the terraced streets and lanes, then finish the evening with a 'dram' of whisky and live music in the local bars. The property is available from 4pm on the day of entry and we ask you to leave by 10am at the end of your stay. Please ask if you wish to change these times.